Maikou Xiong (shee-ong) leans against her small, black sedan in the parking lot of the Washington Park Senior Center smoking a long-burning cigarette. 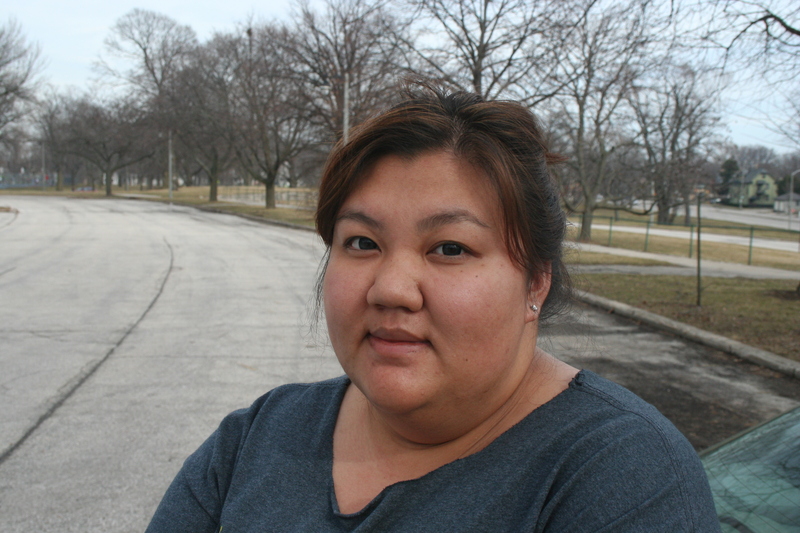 Xiong, whose family is Hmong, has lived in Milwaukee all of her life, and she doesn’t plan on going anywhere. She says she’s “very close” with all of her siblings. Though they don’t see each other all the time, Maikou says the whole family gets together at least once a month; but even when they aren’t together, they keep in touch. Then, she did home care for an elderly woman, worked as a medical tech, passing out meds and helping people with self-care at Lamplight, an assisted living facility in West Allis. From there, she went on to St. Luke’s. Xiong’s favorite part of the work is getting to know the people she’s helping, having a conversation with them. Most likely, she says, they’ll be back at some point, but she also says it’s important to simply care for them as a person, not just someone who needs medical help. She doesn’t plan to stay in the exact same place, though. Maikou says, even though their home has a lot of memories, it’s hard for her mom and brother to get around because it’s two stories and there are stairs to contend with, which is particularly difficult for her brother. Did you find value in Maikou’s story? If so, please subscribe to our newsletter; we publish the story of a different Milwaukeean every week.